Pictured below is the warehouse of S Hoffnung & Co Ltd in Charlotte St. Of course it no longer exists. Despite being championed at times by the National Trust of Queensland it was demolished years ago - replaced in 1983 by a 15-storey glass and steel tower. 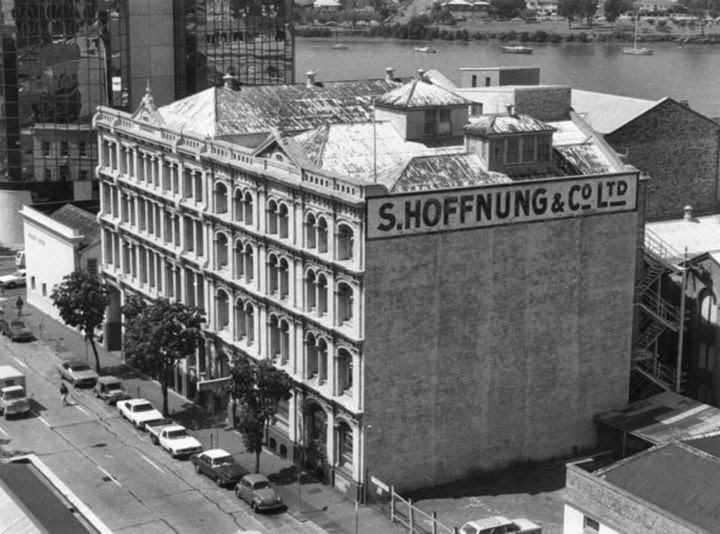 The warehouse had been built in 1871 as the Brisbane offices of the wholesalers, Hoffnung's, that was formed in Sydney by Jewish immigrant Sigmond Hoffnung and grew to become a national business. 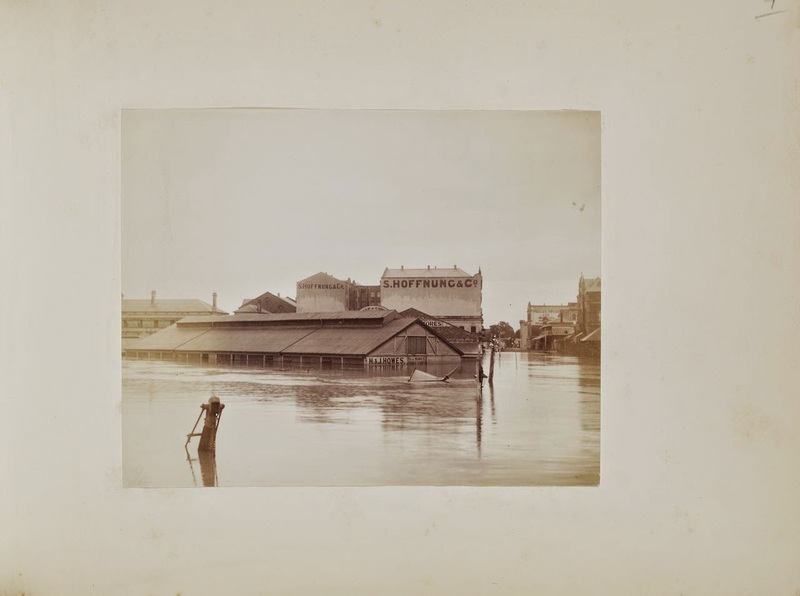 The photo above is from 1980, while the one below is taken from the other direction during the 1893 flood. So, redevelopment has achieved what flood and even fire could not. On 14 April 1902 the top three storeys of the building were damaged in a furious fire, one of the biggest ever in the city. However our story today concerns not the fire itself but the aftermath. After the fire was extinguished and the damage was being assessed it came to light that someone was trying to sell about 50lb (almost 23kg) of tobacco in northern Queensland. The rumour was that the vendors were Brisbane firemen. Investigations proceeded and it was discovered that the tobacco had most likely come from the Hoffnung's warehouse. The mayor of Brisbane at the time was Mr Leslie Corrie, and he was also the chairman of the Metropolitan Fire Brigade Board. He called two of the firemen to a meeting and questioned them about the tobacco. Eventually the fireys admitted having been involved in the theft and although they indicated that others were also involved they refused to name them. This left the mayor in a rather sticky situation. The theft was undeniably a very serious matter and in the normal course of employment it should have resulted in dismissal of the offenders. Mayor Corrie, however, took a pragmatic view and severely censured the men while docking them a week's wages. This is where Thomas Proe comes to light. A council alderman and former mayor, he was also a member of the Fire Brigade Board and felt that the punishment was insufficient, promptly protesting by tendering a letter of resignation from the Fire Brigade Board. Here is a picture of the man. At a later meeting Mayor Corrie explained his decision. At the time the fire brigade was already understaffed and hiring a large number of new recruits would be impractical because of the long hours of training necessary to produce an qualified firefighter. The fire at Hoffnungs was itself an indication of how important it was for Brisbane to have a fully capable fire brigade. At this meeting Thomas Proe was encouraged to withdraw his resignation. He did so. 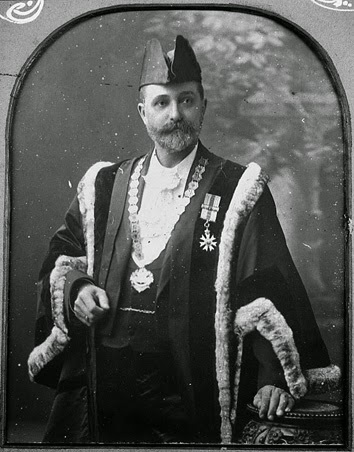 In those days the position of mayor was rotated amongst the elected aldermen, and Thomas Proe later became mayor of Brisbane again. Here he is pictured in his mayoral robes. What more of Thomas Proe? 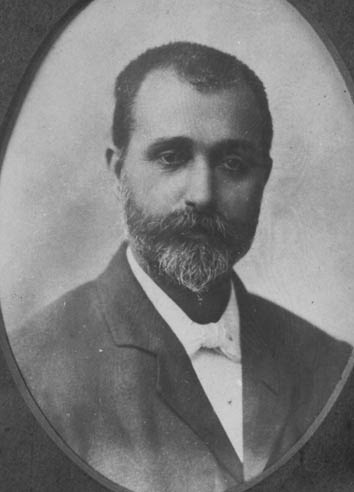 A Lancastrian born in 1852, he came to Queensland in 1876, married in 1881 and had seven children. He was initially a trained engineer, but became a publican, owning at different times a couple of Fortitude Valley hotels - the Osbourne and the Royal George. He is remembered by the naming of Proe St in Fortitude Valley. "fter the fire was extinguished and the damage was being assessed it came to light that someone was trying to sell of tobacco in northern Queensland. The rumour was that the vendors were Brisbane firemen. Investigations proceeded and it was discovered that the tobacco had most likely come from the Hoffnung's warehouse." In the light of current Queensland questions about wrong doers, and even though two men said they were involved, was the case ever referred to the police? No mention of police in the newspaper articles I have seen. No mention of restoration to Hoffnung's either. Yet it could hardly have gone unnoticed by the police seeing it was splashed about on Brisbane's newspaper! I work at s Hoffnung's,Back in 1977 to 1978 as a office-boy.I had many good times working there.